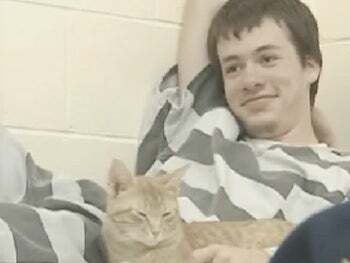 Nebraska inmates who volunteered at an animal shelter were recently allowed to adopt two cats, Sarge and Nemo. The cats live in the minimum security areas of the prison, and the staff says it's a win-win situation: The cats get a home and they bring out the inmates' softer side. Why cause trouble when you could be playing with two adorable kitties?